March « 2016 « Geekorner-Geekulture. 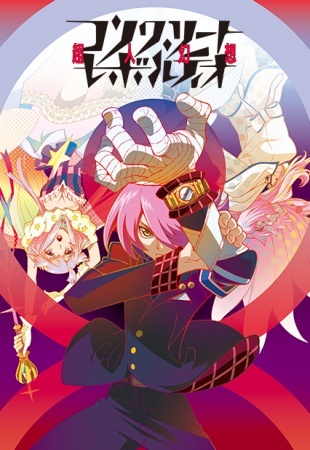 Writing on Concrete Revolutio with my set of intentions, at this particular point in time is like trying to defuse a bomb while riding a jet-powered unicycle, riding on the back of Godzilla. The simple solution would be to pick but one ball, and trust the rest of them to take care of themselves. However, I’m going to be greedy, I’m going to be human, and attempt to succeed in several of these tasks I set myself out to accomplish. The first task is that I want to get people to watch this show. I believe this show is good, on a small and personal character-moment level, and on a bigger social-commentary level. This show engages in a dialogue with its existence as a media piece, with other creations in its specific genre (of superhero narratives). The show even goes boldly into taking a look at some of Japan’s more turbulent recent history, while casting reflections on Japan’s current political discussion. This show is very much worth watching, and as such, a write-up about it that would be spoiler-free and aiming to convince people of that fact would be something I’d be happy to see written, as the show’s second cour is going to air starting next Sunday, and I’d like people to give it a chance. However, that’s not the style of write-up I’m more interested in writing, so I’ll have to balance the two, and this write-up will contain a fair amount of spoilers, but should be readable even if you are yet to watch the show’s first half. Don’t Let your Dreams be Dreams! Speaking of which, let’s look at the final scene or two a couple more times, as it has a lot to discuss. 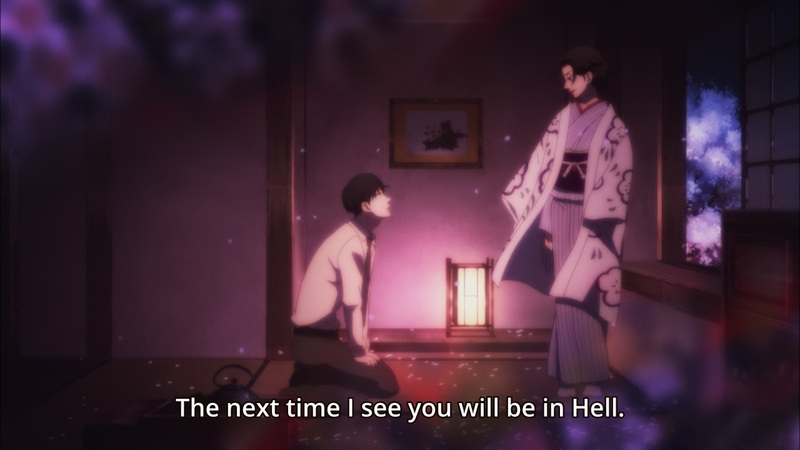 First and foremost, it reminds me and addresses the scene in episode 9, where Miyokichi tells Bon that the next time they meet, it’d be in hell. More than anything else, that scene felt like a performance. I spoke of it before, but the way the characters speak and interact with one another often follows the beats of a rakugo performance. Is this because it’s Bon who’s telling the story to Konatsu and Yotaro? I suspect it’s more because this is the mindset the mangaka is in. 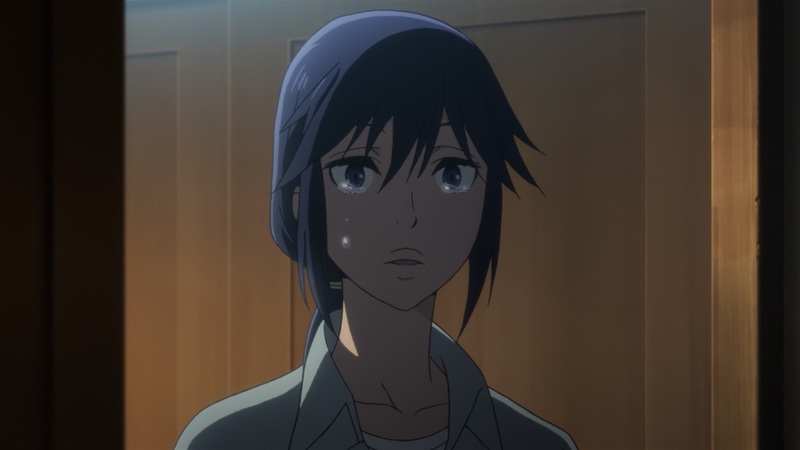 Boku Dake ga Inai Machi / ERASED Episode 12 (Finale) – Hoping to Believe, Believe in Hope. This show hasn’t always been even. The episodes in the present time in particular were somewhat lacking, in tension when the tension was paramount, and in small and comfortable moments when the show veered more in that direction (in the second half), which made sense, since Kayo was stuck in the past. Thankfully, last episode was pretty small and comfortable and good, and this episode? This episode was great. 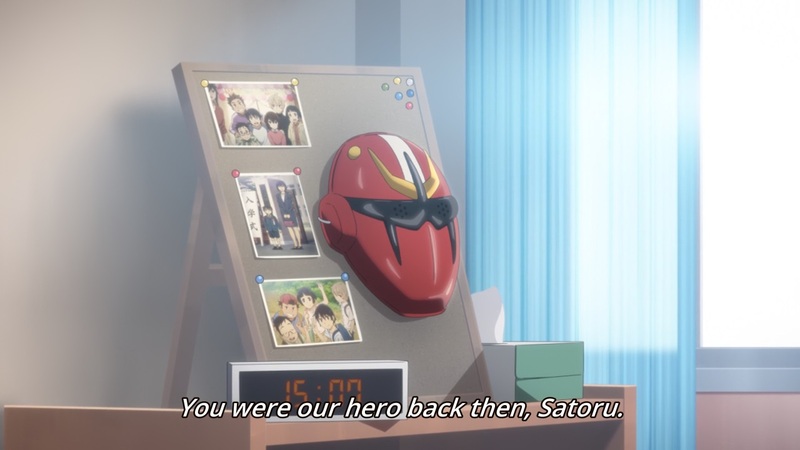 It didn’t give me the same amount of smiles and tears as episode 8 did (Kayo’s highlight episode, and being brought into the Fujinoma household), but it was at least that level of great. Can’t think of a better episode of the show, and it’s always nice to end on a very positive note, isn’t it? 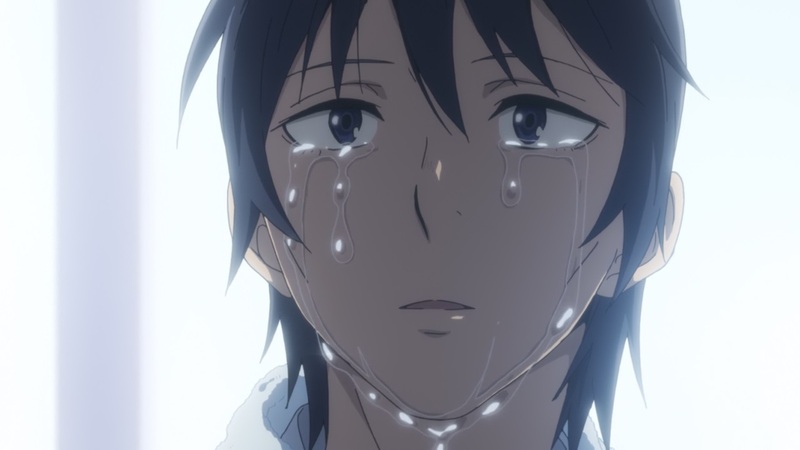 My write-ups for BokuMachi have always focused on the themes of the show, and this episode, as befits a finale, not made use of them all, but also tied them all neatly together, so let’s look at some of them. Still not caught up on Ajin, and I can’t help but eagerly look forward for next season’s crop of exciting new shows (and exciting disappointments! ), but we’ve still got Spring season’s last few hanging-on shows to take a look at, so let’s do that. As always, the list is ordered by how much I liked the episodes, combined with how good I thought they were, in a descending order (first is best, last is worst). The human drama train keeps going on. This means that things are sort of “inevitable”, to a degree. 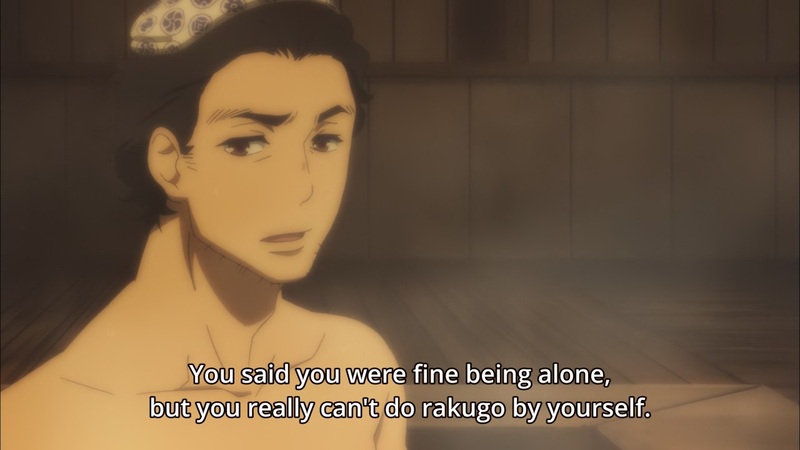 Such as Miyokichi and Shin’s marriage, which was designed to run away from their problems, and run away from Bon, and the Rakugo Association, and being turned down, didn’t turn out well for them. Because no matter where they went, they still took themselves along, and neither of them is a person who can actually handle life on their own, let alone while also taking care for another damaged individual such as themselves. 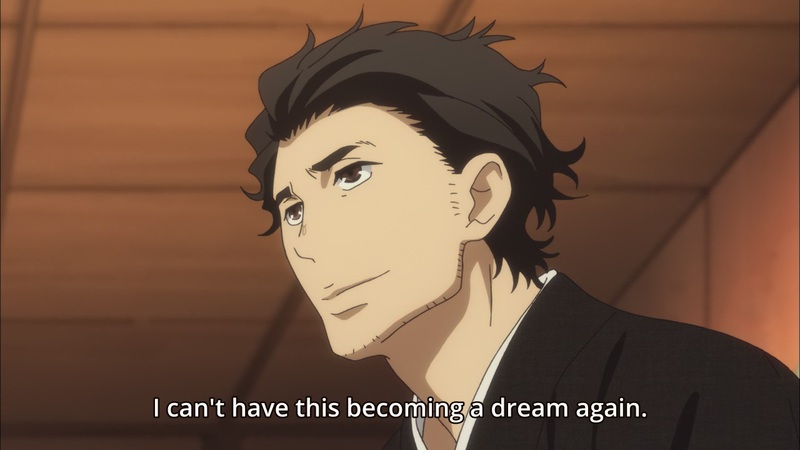 And it probably doesn’t help that both of them might very well suffer from depression, and Shin almost definitely, having lost his reason to live and care – his rakugo, with a partner who maligns it even more. 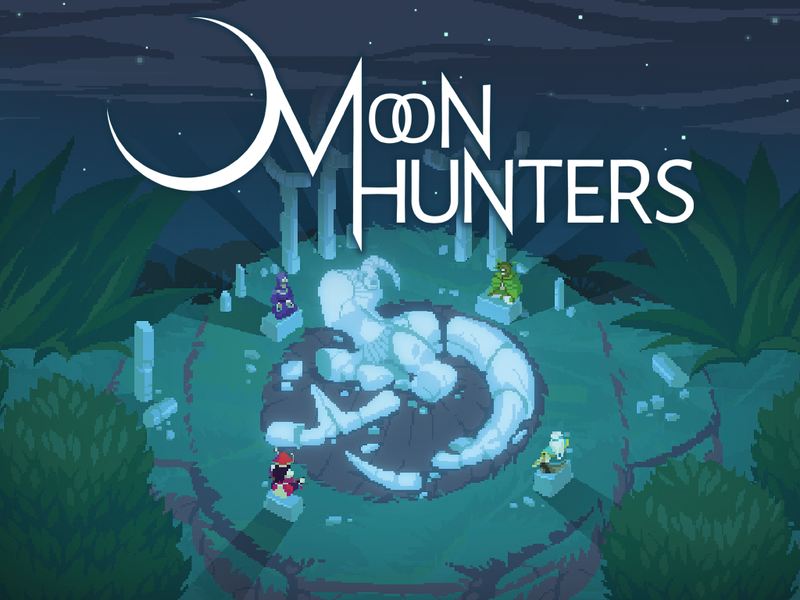 If I had to answer whether Moon Hunters: A Myth Weaving Game by Kitfox Games (which I backed on Kickstarter) is worth your time on a yes/no basis, then I’d unhappily choose “no”, as it’s a very close thing. It might be the game for you, and I didn’t suffer playing it, but you usually have better uses for your time, especially when you consider just how much time this game asks of you. Time is what this is all about. Time and content: I’ve played this game a number of times, with all classes but support, more than once with most, and beat the end-game boss a number of times. Each playthrough of the game is quite short, ranging from 30 to 90 minutes, depending on how well you’re doing and the size of the maps. The game is designed to be played multiple times, except where it is not. You only get to visit 5-6 locations in each playthrough, which provides a reason to play again, and again. Right? Well, except I rarely encounter new options, even 5 hours into the game, and less as I reached 7 hours. Not every location or every setup will appear in each playthrough, and not in every playthrough will you have one of the traits needed to make use of it, so you’d think they’d let you play through every locale the map generates each time, or most of them, and you’d still have reasons to play again for a new map, and to try a different combination of options, so why don’t they? I was really curious where they’d go with the show after last episode. As I wrote about that episode, it didn’t really feel like a climax, because of the delivery, and I wondered what they’d do now that they’ve done away with the protagonist and us still having two episodes left. Then after Yashiro’s monologue at the beginning, I actually thought that after Satoru’s proclamation, he saved him from drowning, like the hamster, and kept him in a cage, to ply him from his knowledge. Well, the reveal about 6 minutes in worked. They dragged it on and on, and it was effective, so good job there. Speaking of effective versus non-effective, or rather “Effective versus overbearing,” look at Sachiko’s tears. A heart-felt moment, I teared up myself. When it comes to tears, less really is more. Unlike what we got when Satoru was crying, which had me chuckling a bit, because, I mean, just look at it :P Also in that scene, I can’t really tell if adult Hinazuki is voiced by Yuuki Aoi or not. Half the time she sounds like her, and half the time not. I like this voice. I wish anime voice acting were more naturalistic in general, y’know? Just as I like Hayami Saori a lot more when it’s natural. Have been busy lately, and had been preoccupied by a bunch of stuff (including the massive Spring 2016 Season Preview, check it out! ), so this is a tad late, and I haven’t watched the last 3 Ajin episodes, so we’ll cover what I did watch. Can’t wait for the new season to arrive – gotta find some new shows to disappoint me until I’m left with but a handful! As always, the list is ordered by how much I liked the episodes, combined with how good I thought they were, in a descending order (first is best, last is worst). Though it might be a bit more “tier”-sorted this time, as I’ve got some ties I don’t want to pick between. This show is good. Watch it. It’s a tragedy, where people pay for their past sins, and they pay for the past sins of their forebears. They pay for their hubris, for the goals they set out to achieve, and for being unable to put themselves in others positions. This is a story about hopes and dreams and people falling out even as they wish they could still cling to one another. It has beautiful set-pieces, and the visual design remains exquisite even as the models drop off-model with increasing frequency (but thankfully it’s not so common as to be actively detrimental to my enjoyment of the show and its visuals). There’s a lot to unpack here, from symbolism in word and deed, to symbolism in the visuals the show employs, to just how theatre-like the characters are in their off-stage interactions, where they act as if they’re symbolic manifestations to one another. Then again, in some ways they are.